With the Los Angeles Rams facing off against the New England Patriots at Super Bowl LIII, many restaurants across LA will be showing some team spirit. While some of the most ardent (and affluent) supporters might make the trek to Mercedes-Benz Stadium in Atlanta to watch the “Big Game,” there will be plenty of LA restaurant specials to keep local fans busy on February 3, 2019. Check out these Super Bowl specials around LA, including happy hours at bars as well as catering offers for those hosting Super Bowl parties at home. Brennan’s in Marina del Rey, which is famous for its bimonthly turtle races, will be showing the Super Bowl and offering $15 pitchers of house beer and $5 Jameson shots during the game. Doma Kitchen’s viewing party features 2-for-1 beer and wine, $13 sharing boards, $5 bowls and an $18 burger and beer special. Happy hour begins at kickoff. 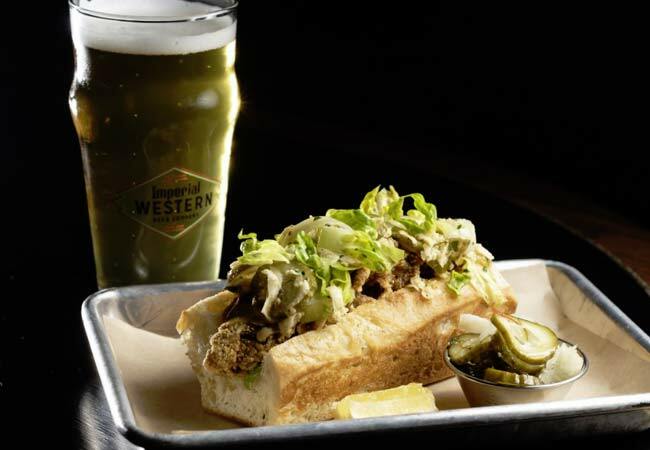 Stop by Imperial Western Beer Company at Union Station on Saturday, February 2, 2019, for $2 off the crowler menu (for to-go/offsite consumption). Meanwhile, on Super Bowl Sunday, patrons can enjoy selected beers for $10 per pitcher. Bonus: Every $10 pitcher purchase before the game comes with a raffle ticket for the chance to win a crowler after each touchdown. Mohawk Bend will show the game on its big screen, as well as on several TVs throughout the restaurant. Specials include $2 off ABC brewery beers and two chili dogs (vegan available) plus a side of tater tots for $12. Preux & Proper will host its Sunday Brunch soirée with Bottomless Mimosas ($15 per person) until 4 p.m., followed by happy hour in the barroom and upstairs dining hall from 4 p.m.-9 p.m. Enjoy $1 oysters, $1 wings and pitchers of cocktails inspired by the two competing Super Bowl teams ($45 each, serves 4). Fortify yourself with traditional Cornish fare while you watch the big game at The Stalking Horse Brewery & Freehouse. During the Super Bowl, there will be $20 3-packs of crowlers (usually $24), Puppy Bowl with Wags & Walks (adoptable dogs streamed on the big screen during halftime), $4 drafts and a $10 burger and beer combo. Enter the raffle for the chance “Win Beer for a Year!” (two crowlers per month for a year). Tavern will offer specials in the Blue Room from 3 p.m.-9:30 p.m. Representing the Los Angeles Rams is a shrimp taco with blood orange-Meyer lemon salsa, aïoli and roasted poblano slaw ($15), while the New England Patriots are symbolized by a crab and lobster roll with tarragon, aïoli and chips ($15). Beer pairings ($7 each) also pit the West Coast (Angel City Pilsner) against the East Coast (Victory Prima Pilsner). Belcampo Meat Co. in Santa Monica tempts carnivores with a selection of Super Bowl specials for delivery or pick-up, available a la carte or as a party package. Specials include nachos, 1 qt. beef chili con carne, 2 lbs. pulled pork, 2 lbs. chicken wings, Martin’s burger buns, and two craft beer bombers packaged in a reusable insulated Belcampo tote for $89.99. 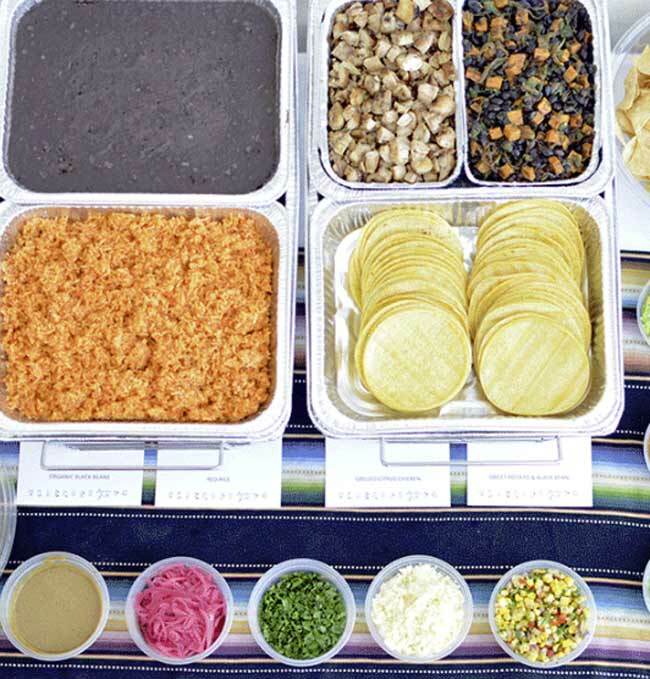 Border Grill Downtown LA’s Super Snack Pack ($50) feeds five people with a choice chicken, carnitas, steak or veggie tacos (2 per person); rice and beans; salsa fresca, crema, onions and cilantro; chips and salsa; and churro bites. Orders must be placed 24 hours in advance. 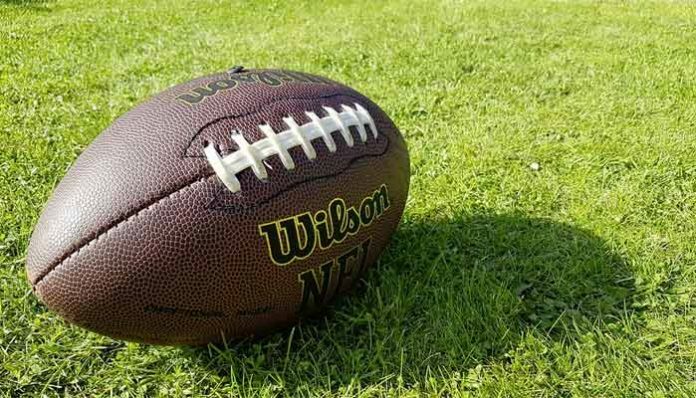 Cosa Buona is celebrating the big game by offering its “Touchdown Dance” ($99), available for guests to order beforehand or at the restaurant. The special includes four pizzas, a bucket of wings and a six-pack of Olympia. 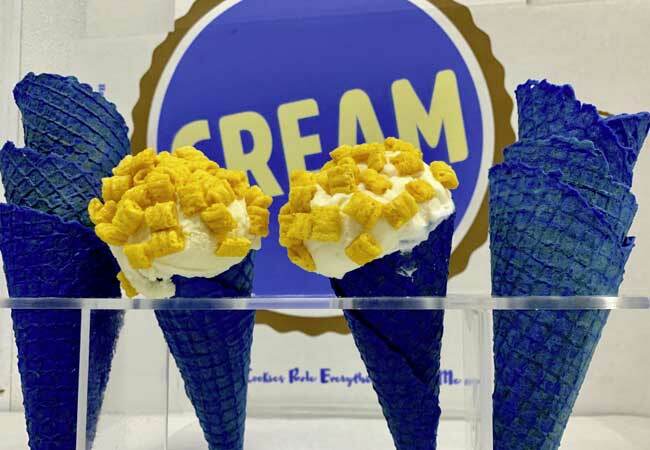 CREAM (Cookies Rule Everything Around Me) is showing home team spirit with 25% off a Rams-inspired blue ice cream cone topped with golden Captain Crunch cereal, as well as 20% off customizable ice cream sandwich catering boxes leading up to the Super Bowl. South City Fried Chicken in downtown Los Angeles is offering a Super Bowl LII Fried Chicken Box ($295, serves 14 to 16 guests). Decide between 30 boneless breasts, 30 whole wings, 60 tenders, or choose two and get a Half & Half. 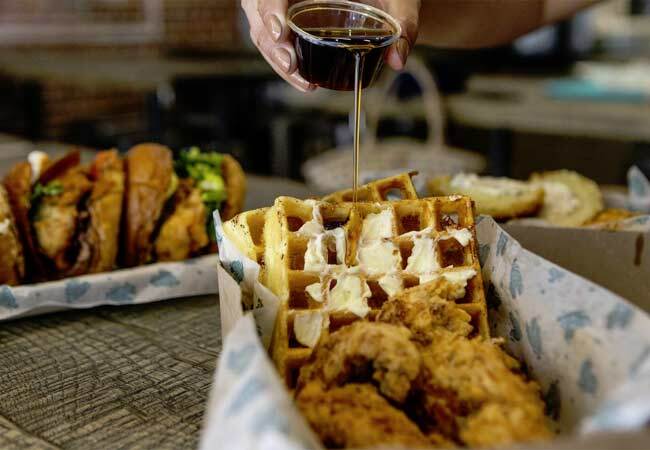 Then, pick your style from options like the Carolina Picnic served with buttermilk biscuits, Carolina gold sauce and avocado ranch; the Nashville Hot with slaw and house dill pickles; or the Chicken & Waffles with cornbread waffles, whipped butter and maple syrup. The spread also comes with two sides, house fermented hot sauce, a half gallon of unsweetened iced tea and lemonade, cups, napkins and plastic cutlery. Satisfy your sweet tooth with the Touchdown Pie from Winston Pies. The dessert features a dark chocolate cookie (gluten free) crust and peanut butter mousse, topped with milk chocolate and pretzels. It is available in five-inch mini pies ($10) or a regular 11-inch full sized pie ($45).